Comments: Over the past couple years I believe Beltre has solidified his induction into the Hall of Fame. 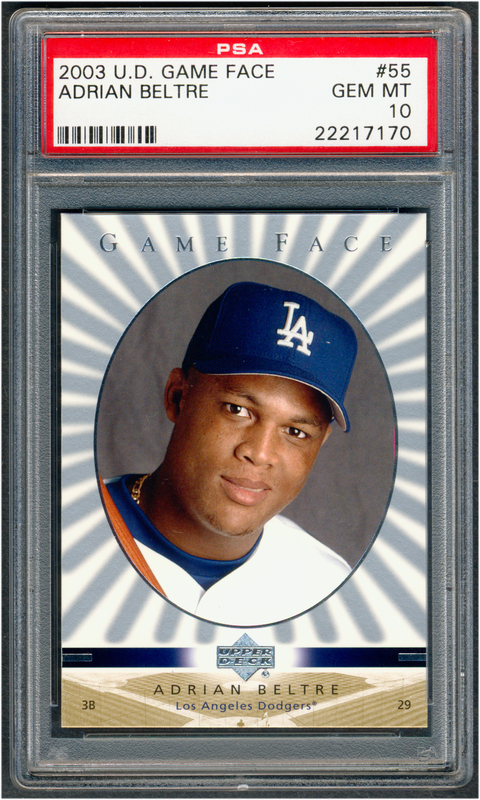 In anticipation of the future honor, I searched for the right portrait and settled on the 2003 UD Game Face card. 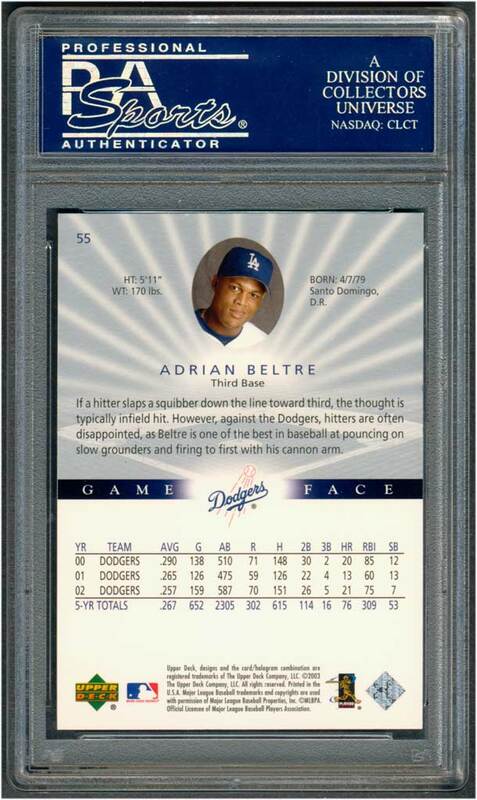 In June, 2013 I purchased three copies on eBay. 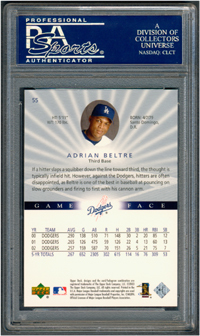 One example was submitted later in the year, and on January 29th, it came back graded GEM MT.